Best Location For a Visit to Harford County! 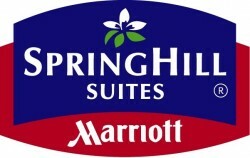 SpringHill Suites offers spacious studio suites for the price of a regular hotel room. Enjoy our complimentary Bountiful Breakfast Buffet and our new in-room entertainment package that includes all HD programming and access to Net Flix, HULU, and other web based applications. Call our Front desk and ask for the VISIT Harford! Discount or book your stay using your Marriott Reward points.